Bangladesh’s experience with public policy making over the past four decades has been perplexed by an awkward political dilemma. On one hand, democratic and legitimate reform initiatives have endured barriers to implementation; while on the other, many successful reform initiatives have suffered from lack of legitimacy. Lack of authority has always been a barrier to policy reform, while public support and legitimacy has been the most essential feature of public policy. Balancing the two is difficult and remains as a litmus test for any policy maker. Ironically, our policy makers have always preferred the easier option — acquiring authority and ignoring legitimacy. Though authoritarian governments may seem more successful in implementing reforms, authoritarianism often leads to autocracy and reforms achieved through this process are not beneficial for the country. Typically an optimist will say the glass is half-full and the pessimist, half-empty. But when it comes to national budget, an optimist sees the vacant potentials, calls the budget inadequate; and the pessimist sees the implementation barriers and thus calls the budget oversized. Only a realist would say both sides have a point. In the abundance of optimistic and pessimistic post-budget reactions, my two favourite realist comments come from the opposition and from the government. An opposition BNP-leader has precisely labelled this year’s budget as inadequate in terms of people’s need, and highly ambitious in terms of implementation capacity. 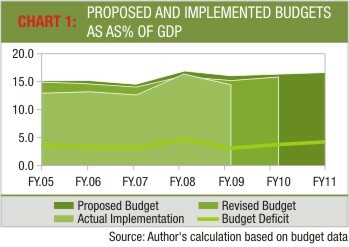 The finance minister also echoed this confused sentiment by admitting the implementation challenges while advocating the need for a bigger budget. This article investigates the news reports that were published in international media from December 16, 1971 to April 15, 1974 to understand how and why those 195 Pakistanis were accused and released. 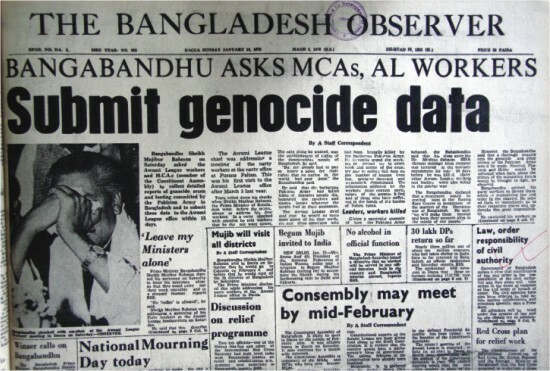 It also explores the avenues the post-1971 Bangladesh government pursued to put Pakistani and local war criminals on trial. To remain true to the fact, the article mostly cites news reports and avoids opinion pieces. Also, to remain consistent, the article mainly cites the New York Times, though similar news was published in other newspapers. Saving the Pakistani soldiers from the resentment of the Bangladeshis, who endured the most horrific genocide of that time,2 became a major challenge once Pakistan’s defeat was imminent. Though it was argued that “given a few more months the Bangladesh guerrillas might well have won on their own,”3 India’s direct involvement not only reduced Bangladesh’s sufferings, but also came as a saviour for the failing Pakistanis. India being a signatory of the Geneva Convention had an obligation to treat the Pakistani POWs lawfully. It was appalling to witness the fast swinging of the “sentiment pendulum” during the course of the BDR mutiny. When the first news of the mutiny broke, the sentiment pendulum decisively swung towards the mutineers, partly owing to their socio-economic background but mainly due to the stories of deprivation they managed to deliver to the public. In the absence of a credible exit-poll, this article revaluates those determinants and correlates them with the final election results to see exactly what happened on December 29, 2008. These are the five reasons, all of them reinforcing, which together created the conducive environment for AL’s massive win. The ruling power in Bangladesh, when viewed in its historical context, essentially rested with three intermingling oligarchies: politicians, civil bureaucrats, and the military. While the first exhibited a disputed liaison with the others, the other two have demonstrated a reasonably steady companionship.